The Squids® Water Resistant Phone Pouch and Trap makes it easy to carry and use your cell phone on the job while preventing dropped objects when working at-heights. 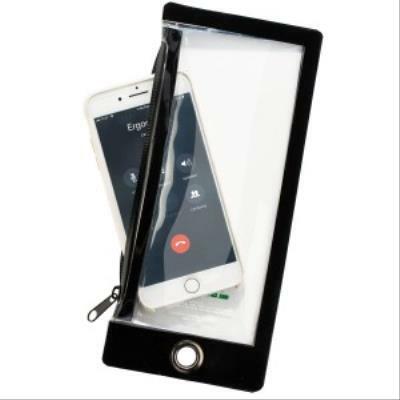 This cell phone pouch is made of a clear touchscreen material that provides protection while still allowing touchscreen use and access to both the front and rear cameras of smartphones. The heavy-duty, easy-to-use zipper closure system safely secures the device inside the cell phone holder.